Oklahoma City, Okla., (2-16-2017) – The National Reining Horse Association (NRHA) is mourning the loss of NRHA Three Million Dollar Sire Lil Ruf Peppy. 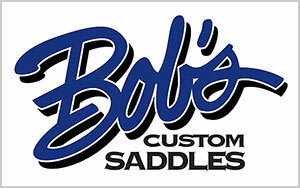 He will forever be known as one of the greatest NRHA multi-million dollar sires. 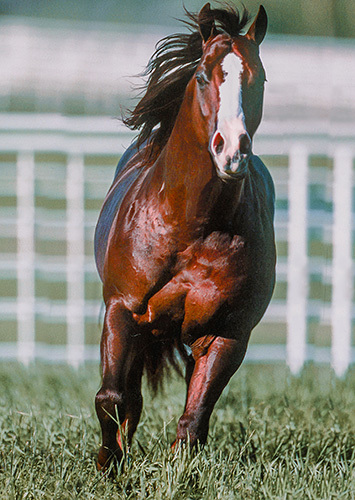 At 25 years old, the sorrel stallion was by American Quarter Horse Hall of Fame sire Peppy San Badger and out of Rufas Peppy. In his prime, Lil Ruf Peppy won more than $28,000 in NRHA Lifetime Earnings. In 1995, NRHA Million Dollar Rider Tom McCutcheon and Lil Ruf Peppy captured the NRHA Derby Limited Open title. The dynamic duo would continue to excel in the show pen for years to come. His success in the show pen led to his later syndication under the Lil Ruf Peppy Syndicate. Besides his success in the arena, Lil Ruf Peppy made his mark in the reining industry when he sired horses such as Rufanicki, Sailin Ruf, Ruf Hearted Jac, A Ruf Gal and Pretty Peppy. Producing several money-earning daughters, Lil Ruf Peppy grand sired leading offspring such as Not Ruf at all, out of All Ruffed Up. With a calm disposition, Lil Ruf Peppy enjoyed his last days grazing amongst mares in the pasture, according to Green Valley Ranch’s Emily Mabey. NRHA is saddened by the loss of Lil Ruf Peppy and sends its deepest condolences to all those involved with Lil Ruf Peppy. For Immediate Release – Oklahoma City, Okla. – February 16, 2017 – The National Reining Horse Association (NRHA) has concluded its second annual Winter Meeting with great success. Held February 8 – 11 in Fort Worth, Texas, this year’s event was full of activities, meetings, and banquets to position the association for continued success and to celebrate its members. NRHA Committee meetings started Thursday morning and continued through Friday. The National Reining Horse Youth Association (NRHyA) participated in their leadership development seminar on Friday and Saturday. In three sessions, youth members of all ages gathered to strengthen their leadership skills and network with other NRHyA members. Additionally, the first in-person show secretary and management seminar was held with great attendance. As Friday night arrived, NRHA members gathered to honor those who have made a significant impact on the reining horse industry. During the celebration Carol Rose, Rosanne Sternberg, and Smart Like Juice were inducted to the 2017 NRHA Hall of Fame. NRHA member Tim Katona received the Dale Wilkinson Lifetime Achievement Award. 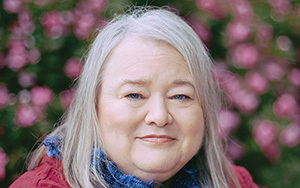 Katona is credited with helping form the NRHyA and was the first youth committee chair. The NRHA Board held its first reading of 2018 rule change proposals during the Winter Meeting. The directors will discuss the proposals again and hold a vote during their May 2017 meeting. In the meantime, members are encouraged to read the proposals online at NRHA.com and in the March issue of the NRHA Reiner magazine. Member comments also can be submitted on the “members-only” section of NRHA.com through April 10. The 2017 NRHA Futurity Conditions were amended to create a structured Semi Finals with a guaranteed payout in the level 4 division of the Open Futurity. Additionally, all late entry deadlines were extended to one-day prior to the 1st go-rounds at 5:00pm. Additional information can be found in the 2017 Futurity Conditions at nrhafuturity.com. Jerry Nicholson from The Jockey Club Technology Services presented the Board with an update on the information technology project including its functions, progress, and timeline of completion. The 2017 NRHA Derby schedule was presented and approved by the Board of Directors. The Board established a task force to review the NRHA Nomination Program and the NRHA Futurity payouts. The Board approved for elections to be held October 1 through November 1, 2017. Two Director-At-Large seats on the Executive Committee and one Director seat for each or the following regions are to be elected during that timeframe: East Central, South Central, North Central, Northeast and Northwest. The point scale used to calculate Green Reiner eligibility was clarified and approved to use the points as published in the 2017 NRHA Eligibility Policy. Many other recommendations and changes to enhance NRHA were discussed and approved. After a successful day of meeting, the 2016 NRHA award recipients were honored at the banquet. If the work accomplished at this year’s NRHA Winter Meeting is an indicator of how successful 2017 will be, it is safe to say the association is off to a great start. For Immediate Release – Oklahoma City, Okla. – February 15, 2017 – The National Reining Horse Association (NRHA) Board of Directors met during their Winter Meeting and reviewed a recommendation from the Aged Events Committee. Based on this recommendation and much discussion, the Board approved the following updates to the conditions that involved late entries, semi-finals format, and the number to advance to the finals. To see the updated conditions, visit the forms page on nrhafuturity.com or get the PDF directly here. The late entry deadlines for entries accepted after November 1 was extended 24 hours to give more opportunity for late entries. 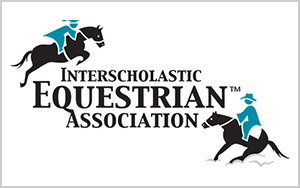 All previous deadlines stating two days prior are now extended to one-day prior at 5 p.m.
To create a special performance for spectators, the top 75 horses, plus ties, in the Level 4 Open division semi-finals will compete in a separate section prior to the finals. Just like previous years, levels 1 – 3 will compete in their own semi-finals section. 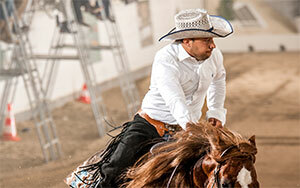 The number of horses advancing to the finals remains unchanged. However, every horse not making the finals through 75th place, plus ties, in the Level 4 Open will receive a guaranteed payout. It was also decided that scratched horses that qualify for the semi-finals will receive the guaranteed payout. For those who wish to cancel their Futurity entry, they can do so without penalty by written notification to the NRHA office no later than February 28, 2017. Written notification can be sent to events@nrha.com, faxed to (405)946-8425, or mailed to the NRHA office at 3021 W. Reno Ave., Oklahoma City, Ok 73107. Last Call- Register for our Upcoming Webinar February 13th! David Herring, Director of Communication & Education at the NOAA Climate Program Office will be the featured speaker. Mr. 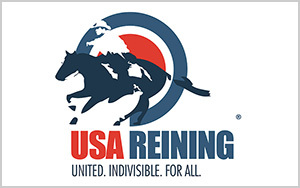 Herring will discuss how they see changes in the weather affecting not only horses themselves, but also the areas in which they live, show, and are ridden. Dr. Karen Davison, Equine Nutritionist and Director of Purina Animal Nutrition’s Equine Technical Services team will also give an overview of how horses nutritional needs change with the weather. In the AHC Member spotlight, Jim McGarvey, Executive Director of Back Country Horsemen of America (BCHA) will give an overview of the work that BCHA does- most importantly how they work to keep trails open for equestrians. Just last year, the AHC worked with BCHA toward the successful passing of the National Forest System Trails Stewardship Act. Finally, AHC’s Director of Health & Regulatory Affairs Cliff Williamson will give a short overview on regulatory issues that the AHC is currently working on. To register for the webinar, please click here. If you have any questions, please contact Ashley Furst at afurst@horsecouncil.org . We look forward to having you join us! For Immediate Release -Oklahoma City, Okla., (02-06-2017) – There is something sweet about becoming a National Reining Horse Association (NRHA) Million Dollar Sire. 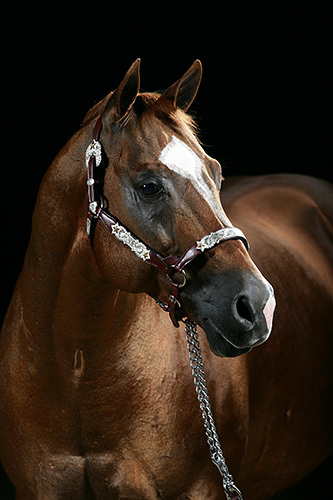 Owned by Carter Smith, the 1993 Chestnut stallion Chocolate Chic Olena is by NRHA Six Million Dollar Sire and NRHA Hall of Fame Inductee Smart Chic Olena and out of Jae Bar Felcia. Chocolate Chic Olena was ridden by owner Carter Smith, along with NRHA Professionals Darren Stancik and NRHA Four Million Dollar Rider Andrea Fappani. During his show career, Chocolate Chic Olena was the 2001 and 2002 United States Equestrian Federation Open Qualifier Champion, the 1997 NRHA Derby Non Pro and Limited Open Champion, and the 1999 AQHA World Champion in senior reining. In addition to siring top reining horses, Chocolate Chic Olena’s offspring have proven themselves to be versatile performers, with some competing and earning top honors in working cow horse events. NRHA congratulates Chocolate Chic Olena and his owner Carter Smith for achieving Million Dollar Sire status.